Swift has signed a memorandum of understanding (MoU) with China International Payment Service (CIPS Co.) to develop China’s cross-border payments infrastructure. The agreement sets out plans to use Swift to connect China’s Cross-border Interbank Payment System (CIPS) with its global user community. 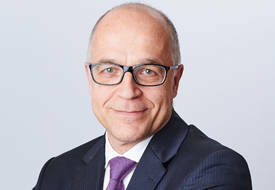 Alain Raes, Swift chief executive of Asia Pacific and EMEA, says there are “natural synergies between global financial messaging services” and that “working with such market infrastructures is at the heart of our business”. Li Wei, CIPS Co. executive director, adds that it aims to provide an “inclusive” platform to capture cross-border RMB flows to all types of participants and this will “significantly extend the reach of RMB internationalisation”. To date, Swift says 1,700 financial institutions have made RMB transactions using its network. Swift has operated in China for over 30 years and nearly 400 Chinese financial institutions and corporations are connected to it. CIPS Co. is a clearing institution supervised by the country’s central bank and regulator, People’s Bank of China. It is responsible for the operations and maintenance of CIPS, including the management of its participants and business promotions.